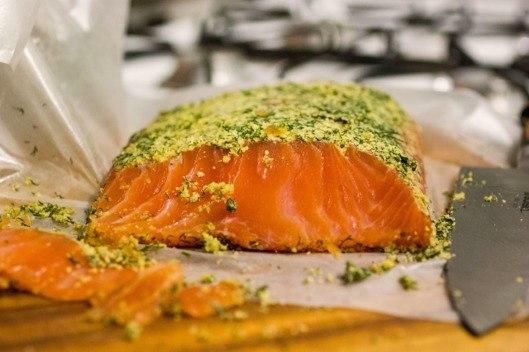 This THC-infused salmon is what happens when edibles meet appetizing. The salmon itself looks like typical lox. On a warm bagel, with a schmear of cream cheese, the fish is delicate, pleasantly fatty, and only mildly herbaceous, though there's plenty of dill.